The search continues for 39-year-old Sarah Majoras of Lambertville on Wednesday afternoon. Authorities held a press conference at 3:30pm Wed to update the investitation to date. They still have not found Sarah Majoras. Authorities at the press conference stressed that they are putting all efforts into this case. The FBI, NJ State Police, New Hope and Lambertville Police are involved. They made a plea to the public asking for anyone if they heard or saw anything to come forward especially during the time of 1:45 a.m. to 3 a.m on Saturday. So far today there has been no more sign of the woman who went missing on Saturday at around 2 a.m. She was last seen leaving John and Peter's bar in New Hope, PA and walking home across the bridge over the Delaware River to New Jersey. Video surveillance captured her making it across the bridge safely, but she never arrived home. The do not believe foul play was involved. She was last seen in a green camouflage jacket, a white knit hat, and glasses. 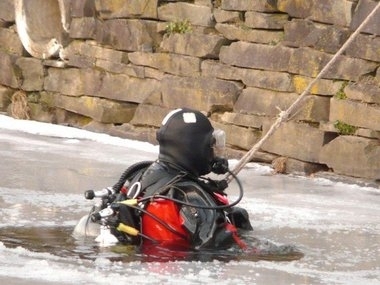 Police have searched the river and icy canal, which is frozen over in many points. They have turned their attention to that canal lately using cameras, sonar, and dive teams. Almost 13 years ago in a similar incident, a local musician, David Anderson, 31, went missing walking home from the same bar, only to turn up dead in the canal, presumably from accidentally falling in during his walk home. Anyone with information on Sarah Majoras' whereabouts is asked to contact New Hope Police at 215-862-3033. Jerry Sandusky's appeal for a new trial was denied Wednesday. His argument was that his lawyers were not given enough time to prepare his defense. Judge John Cleland also rejected motions filed regarding the jury instructions, hearsay testimony and other matters. He issued a 27 page order. Sandusky was found guilty on 45 counts and sentenced to 30-60 years in state pridson for sexually assaulting and abusing 10 boys. Sandusky's lawyers will now appeal the case to a mid-level Superior Court. Sandusky maintains his innocence in the entire matter. More details are now available in the case of a South Jersey man has been charged with murder after shooting another man in the stomach with a bow and arrow. 25-year-old Timothy Canfield of Berlin, NJ, is charged in the death of 25-year-old Kereti Paulsen, of Cape May Court House. Paulson and another man got into a fistfight at Canfield's home on Brill Ave between10 p.m. and 10:45 on Monday night. After the fight broke up everyone retreated into the house except Paulsen who stayed in the yard. Canfield, who was not involved in the fight, then came back outside with a compound bow and arrow and shot Paulsen once in the stomach. When police arrived, they found him on the ground outside in the backyard. He later died in the hospital. The arrow had struck a vein in his pelvis. Canfield admitted to authorities that he ditched the bow and quiver of arrows in a wooded area in nearby Winslow. He is currently being held at the Camden County Jail.